The Okanogan River overflowing its banks near the city of Omak, Washington. 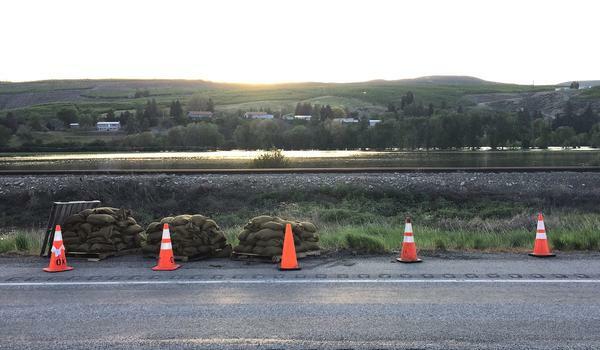 Just south of the nearby town of Tonasket, pallets of sandbags were positioned along US 97. The bulging river not only threatens the roadway but a set of train tracks as well. Trees along the riverbank are underwater. 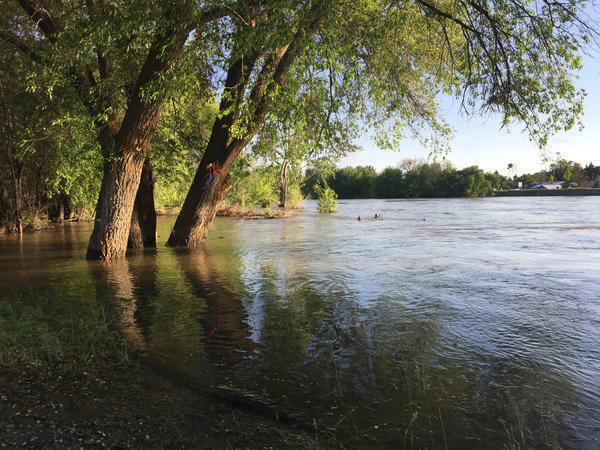 The Colville Tribes issued a public safety notice warning residents not to swim in the Okanogan River because of "snakes, trees, yard debris, abandoned vehicles, and garbage" in the fast-moving water. Flooding is also affecting towns in Pend Oreille and Ferry Counties in northeast Washington. According to Washington state's Emergency Management Division, some drinking water supplies have been contaminated with floodwaters and septic systems have failed. In Chelan County, emergency crews are trying to stabilize the century-old Eightmile Lake Dam in the Alpine Lakes Wilderness Area, where high waters have caused damage to the earthen structure. 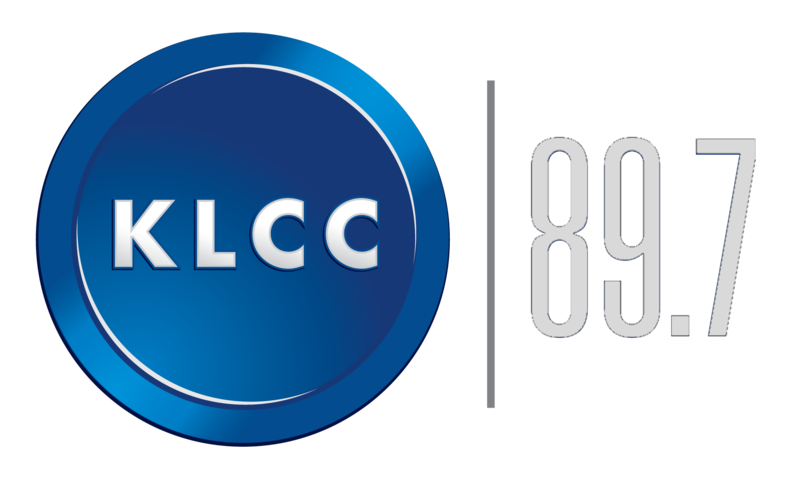 Residents downriver, including in the city of Leavenworth, have been warned to expect flooding if the dam fails. 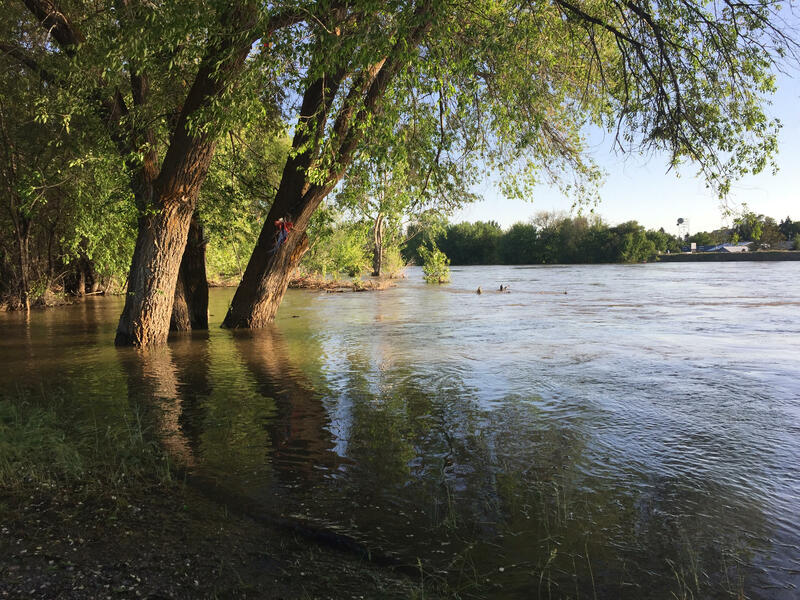 On Friday, Washington Governor Jay Inslee declared a state of emergency in Okanogan, Chelan, Pend Oreille, Ferry, and 16 other central and eastern Washington counties due to the flooding. The weather forecast on the US-Canada border this week calls for daytime temperatures from the high 70s to the low 90s, and that is expected to keep melting the snowpack and swelling rivers. Anna King and Christy George contributed to this story.